This super simple Mushroom and Rosemary Ragu with Gnocchi couldn’t be any easier – it just needs a bit of time. Thankfully in that time you don’t really need to do anything. However it’s not a quick ‘knock up in 10 minutes’ meal. It’s based on a Simon Rimmer recipe where it was designed to feed 12 people, and the Gnocchi making was part of it. You can of course make your own, but – I’ve tried that before and it ended badly! We used some fresh Gnocchi that we warmed in the Ragu right at the end. Depending on which Gnocchi you use, it might be prudent to cook it first, then stir in the Ragu. It’s up to you! Anyway – enjoy this super simple Mushroom and Rosemary Ragu with Gnocchi! 1 – Fry one clove of garlic, the chopped celery and carrot on a low heat to soften for about 5 minutes. 2 – Add the tomato puree and mix everything together, cooking for another 5 minutes, add a tiny bit of water to loosen if needed. 3 – Add the stock, red wine and rosemary – season and then bring up to a simmer – stirring gently. 4 – Cover the Ragu, and allow to simmer for at least 60 minutes – giving it a stir every-so-often. This will make the celery break down, and the carrots soften. 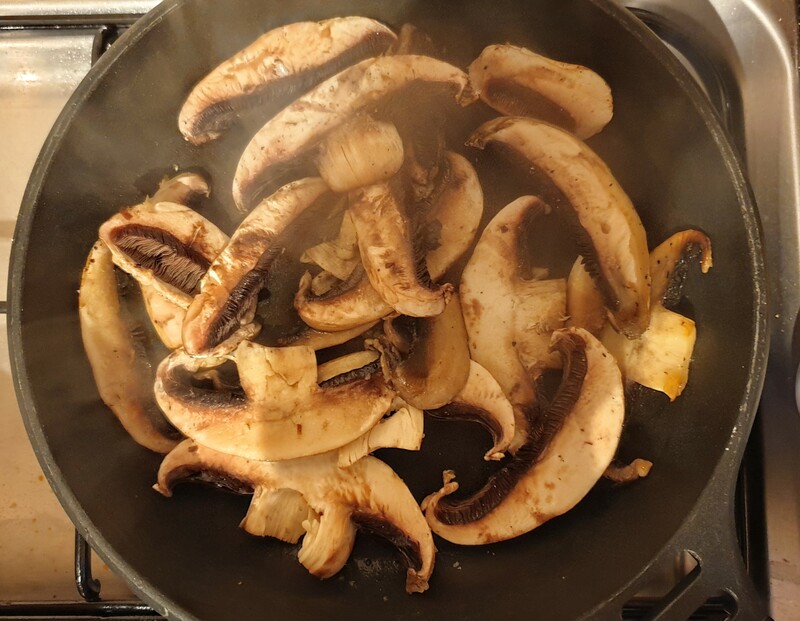 5 – Near the end of the cooking time, fry the mushrooms in a separate pan. 6 – Once the mushrooms have started to soften. mix in a crushed/sliced clove of garlic. 7 – Don’t agitate the mushrooms too much, just allow them to cook – ensure the garlic isn’t burnt! 8 – Add your Gnocchi to your now super rich Ragu, give it a good coating. 9 – Serve the Ragu and Gnocchi with the Mushrooms on top and sprinkle the Parmesan over. 16 hours ago by kiphakes Puppy has been so sleepy today. Lots of snuggles.